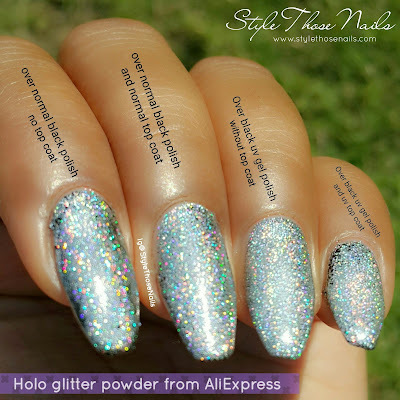 This holo powder came in a small pot of 2g (which I am assuming I received ) with a sponge applicator. Packaging was good and jar was sealed so no spill was visible. But unlike mentioned in item description this was quite coarse to touch and felt like glitter than powder. 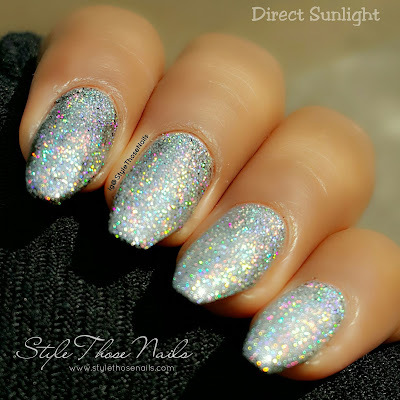 It has more silver effect than holo. I tried it on both normal and gel polish and as you can see in the pic above, there is hardly any difference. 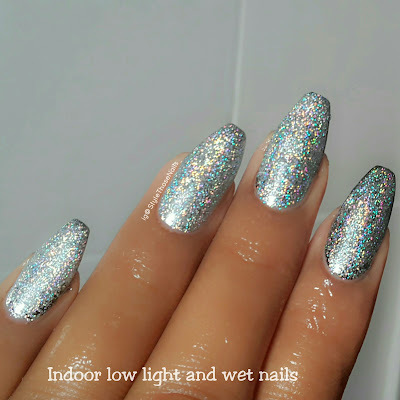 Normal polish and gel polish gave similar effect. Unlike chrome powder there was no effect of top coat both UV gel top coat and normal top coat worked well. Here are some more pics in different light. As mentioned on product site you need UV/LED gels for this polish but I didn't feel any need. 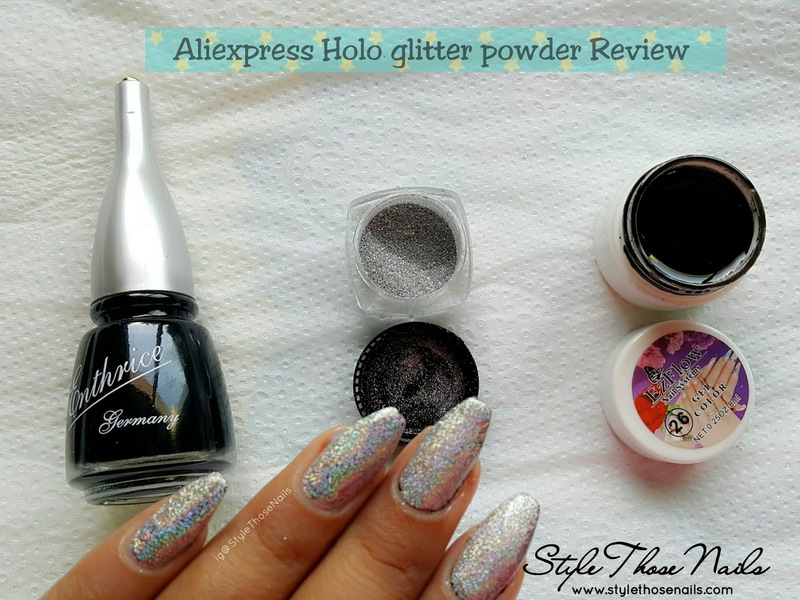 You need to have a sticky layer to get this powder adhere to the surface and it can be achieved with normal polish as well. I felt pressing with finger tip was more effective than using applicator as glitter is not very fine. And if you look closely then you can see powder didn't stick where there was no stickiness present :( I even tried with different colours and it didn't change the effect. 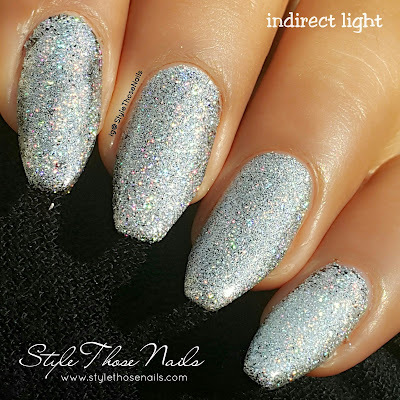 Gives nice sparkling holo effect. Can be used with normal polish also. No need of gel topcoat. Doesn't have strong laser holo effect as promised in item description. No change of color with different base it only shows silver colour.